This summer I set off on the adventure of a lifetime, and spent three months hiking through the high desert and mountains of California, from the border of Mexico to the boundaries of the iconic Yosemite National Park wilderness. During my time in the Golden State, I saw and experienced places that I could never have imagined. And none were quite as special as the mountain towns I discovered along the way – places laying in such close proximity to the state’s most popular routes, and yet rarely explored by first and second-time visitors. Just one hour east of San Diego lies a captivating pocket of American history, frozen in time. Julian is worlds apart from the bustling west coast towns and cities, despite being just a stone’s throw away. In the 1870s, the town found its roots at the centre of the Californian gold rush, with hundreds of thousands of prospectors travelling here, across land and sea, to seek their fortune. Today, as you step onto the town’s Main Street, you’d be forgiven for thinking you’d lost your way, having instead venturing onto a real-life film set. It exudes charm, not to mention an indescribable nostalgia for a time that you’ve never known. Check in to one of the period properties, many of which have barely changed since the late 1800s, and spend your days visiting old gold mines, soaking up the busy festival calendar, and sampling delicious food and drink. Head to the famous Mom’s Pie House for a mouth-watering slice, paired with a cider or apple juice from one of the town’s orchards. 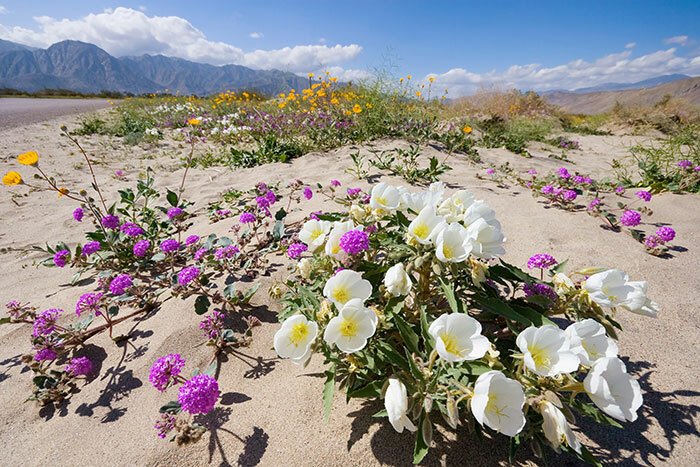 Watch horse-drawn carriages rumble along the main street from one of the many family owned local restaurants – such as Carmen’s Garden – then spend a day exploring the hiking routes of the surrounding high desert, as well as the nearby Anza-Borrego Desert State Park. 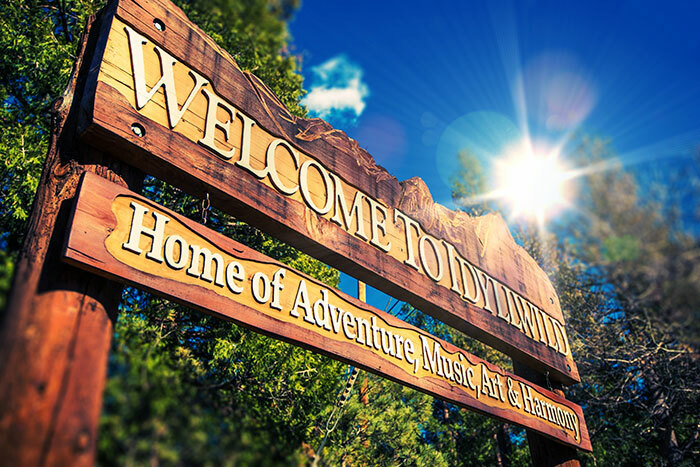 Undoubtedly one of California’s best-kept secrets and favoured as a peaceful getaway for LA residents in the know, Idyllwild is a mile-high, vibrant mountain retreat nestled high above the surrounding desert floors. It sits in the shadow of San Jacinto Peak; a goliath with a view once described by legendary naturalist John Muir as being “the most sublime spectacle to be found anywhere on this earth”. On first glance it may appear that there’s little to set Idyllwild apart from many others like it, but you’ll quickly realise that isn’t the case. In fact, it’s a town with astounding heart and soul, proud of its celebration of the arts, theatre and cinema, and a magnet for creatives – think independent filmmakers and Hollywood A-listers. If any one thing encompasses the spirit of Idyllwild, perhaps it’s the election of Mayor Max and his deputies: a team of golden retrievers currently serving a second term in office. Far from a just a novelty, a fully democratic process saw Max campaign and gain election over many other local candidates. On a visit to the town you’re more than likely to see him, his deputies and human campaign managers. If not, never fear: visits to his office are open to all by appointment. No visit would be complete without taking advantage of the town’s enviable location as the entry point to the most spectacular mountain scenery in the sub-Sierra Nevada. Register for a wilderness permit in advance and tackle one of the challenging hiking trails, such as the Devil’s Slide Trail. Criss-cross the world-famous Pacific Crest Trail and, at springtime, hear the stories of hikers from all around the globe as they attempt to walk thousands of miles from Mexico to Canada. 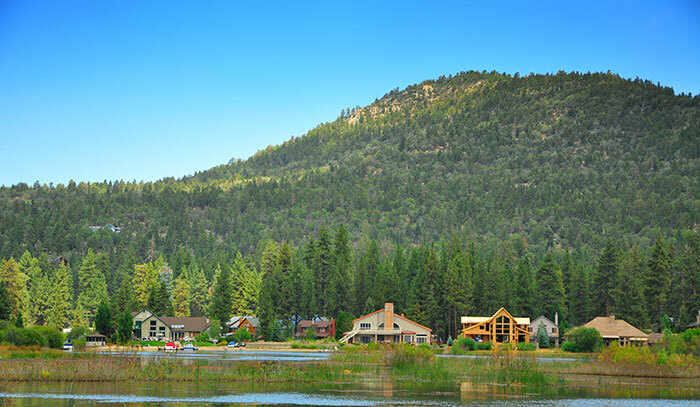 Nestled within a valley in the San Bernardino Mountains, Big Bear Lake has gone through an incredible transformation over the years. Once solely inhabited by indigenous Serrano Indians and a population of grizzly bears (from which its name was born), today it is a modern year-round mountain resort. From its famous lake – which at the time of its 1800s creation was the biggest man-made body of water in the world – to the installation of the world’s second bus line in the early 20th century, it is a fascinating place. Its location makes it a great access point for the beauteous mountains of central California. Unsurprisingly, over the last century it’s been the backdrop to many Hollywood classics, from The Last of the Mohicans to Gone with the Wind. It’s also the home of resorts that host world champion ski jumpers, while also being the training ground for iconic boxers like Mike Tyson. And if it’s food you like, the town boasts some of the best bars and restaurants that the region has to offer. Sample cuisine from authentic Nepalese and Indian cuisine – the Himalayan Restaurant is fantastic – as well as trendy bistros, and local craft breweries. A gateway to what is indisputably some of the most spectacular scenery in the USA, Lone Pine lies in the middle of the dramatic Owens Valley, basking in the unreal beauty of the mountain ranges which form its corridor. To the west is the iconic Sierra Nevada, and on the eastern side the equally imposing, but far less explored, White and Inyo Mountains. It is a charming spot year-round, particularly in the summer months when the retro neon signs of the main street’s bars, restaurants and hotels shine brightly against those legendary Sierra sunsets. However it’s the town’s position as an adventure gateway that draws people from across the globe; none more so than its portal to Mount Whitney, the highest mountain in the lower 48 states of the US. Thrill-seeking souls can rent gear at one from one of the town’s mountaineering suppliers – which may include crampons and ice axes at certain times of year – and tackle the breathtaking 4,221-metre summit. Others embark on multi-day journeys into the inner High Sierra, which offers peaceful solitude and beauty in abundance. 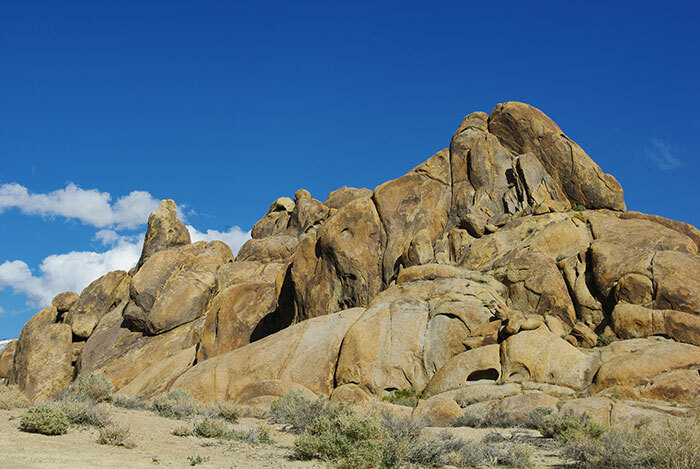 Then there’s the eerie hills and rock formations of the Alabama Hills. Hike amongst them, or camp overnight in one of thousands of natural alcoves within the rocks, and you’ll uncover landscape that’s inherently alien, but also somewhat familiar. But then, hundreds of films have been shot in those very formations over the last hundred years, so no surprises there. Look for scenes from Gladiator, Iron Man and Django Unchained – to name a few. Explore the best of the Golden State on our California & Canyons Journey. To add stop-offs in these towns, chat to one of our Travel Experts.